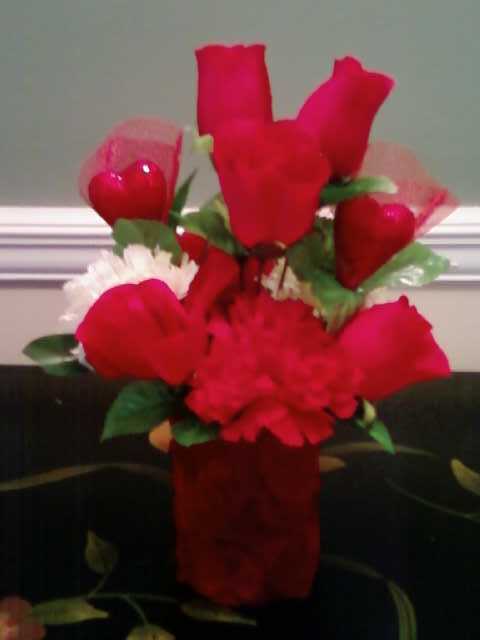 Here is another easy Valentine's day idea. 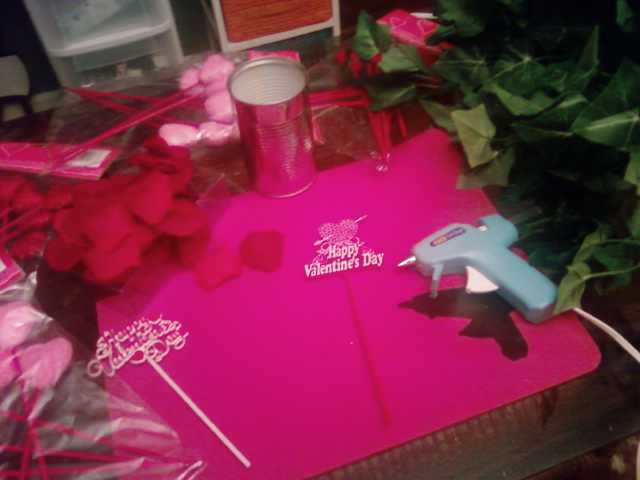 I used a tin can and my other supplies came from Dollar Tree. 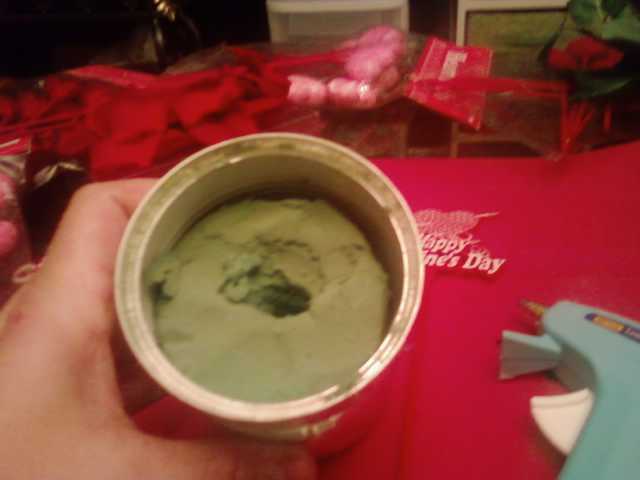 I glued floral foam to the bottom of the can. 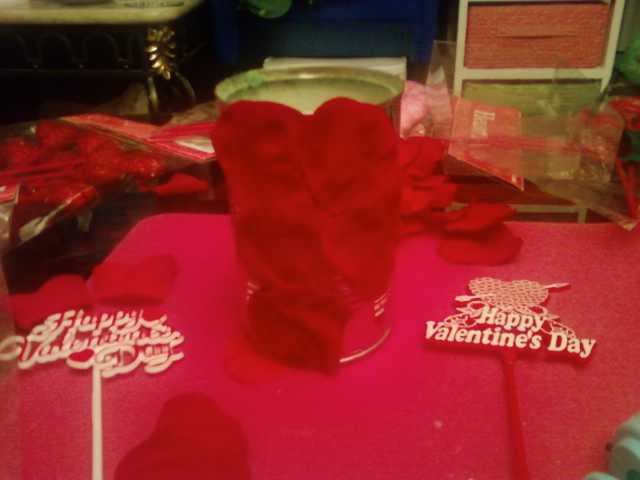 I had some rose petals that I just layered and glued around the can. I then added my flowers and heart picks. 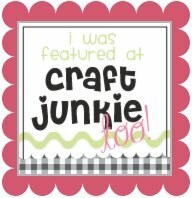 I didn't use the other picks that I had in my supplies picture and I think it turned out really cute.